A lot of peppers stock up on MRE’s in case of a disaster. But MRE’s aren’t survival foods that last indefinitely. Most MRE’s, or freeze-dried, dehydrated, and other types of survival food, have a maximum shelf life of around 25 years. But to truly be ready for TEOTWAWKI you need to think further than those 25 years. Packaging can break or something else can go wrong with your MRE’s. But what if there are some types of survival food that stay good indefinitely so you will always have something to fall back on when your supplies run out. Below you will find a list of 9 survival foods that you need to stock up on. stocking up on them along with our list of 100 items that disappear first during a national crisis will give you the best chance at survival. This one gets huge points for flavor and variety. Maple syrup isn’t just limited to pancakes. You can add this to a wide range of different foods for some great added flavor. 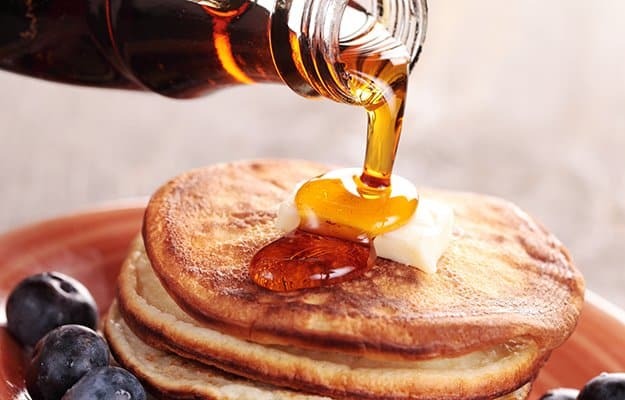 You can even make your own maple syrup from maple tree sap. It takes about an hour a gallon, but it’s well worth the effort and your budget! 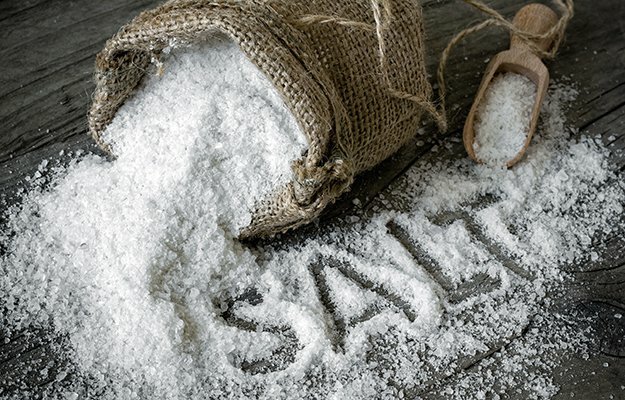 Salt is a mineral which never goes bad and has always been an incredibly valuable resource. At one point, it was even thought to be used as a form of currency! Whether it’s sea salt or ordinary table salt, it has an indefinite shelf life. The only caveat to this is seasoning salt, which has a shelf life of around a year (which is still pretty good, so if you have space in your pantry, by all means, store it). After a crisis, adding a pinch of salt to your meals does much more than boosting the flavor of otherwise bland and tasteless survival food. It also adds sodium (an electrolyte that you absolutely need) back into your diet. Without these electrolytes, your body can’t function properly, so be sure to stock up! Honey is essential for survival. It has been discovered, still edible, in the tombs buried deep inside the ancient Egyptian pyramids! It never turns or goes rancid, but it may crystallize over time. This is when people typically toss it in the garbage but that is a HUGE mistake. All you have to do is warm it and stir it for a few minutes and all the crystals will disappear. 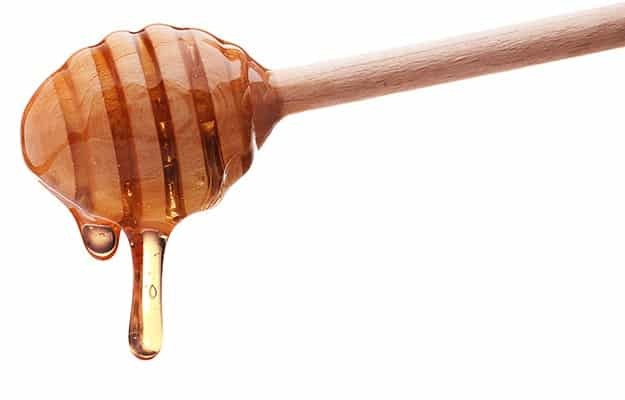 Honey has a lot of benefits to be taken advantage of. It is a fantastic sugar source for a quick boost of energy, tastes fantastic in a cup of tea, and has a ton of other benefits to keeping it around! Rice is highly versatile and filling. I can’t tell you how many meals I’ve prepped that consisted of more rice and gravy than meat. 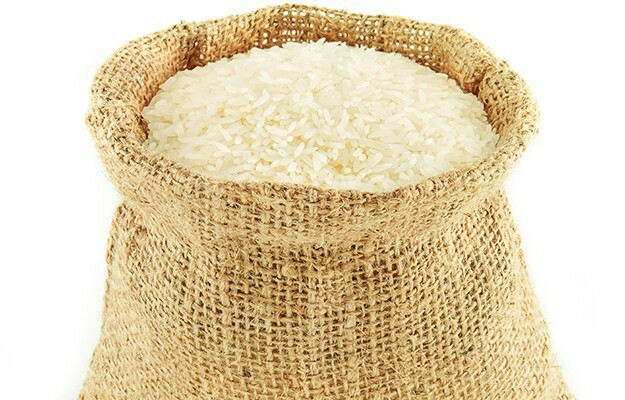 White rice is incredibly cheap and, as long as you keep pests away from it, should last a very long time. Make sure that you only store white rice as brown rice contains a good amount of oils in the grain and goes rancid after only a few months. Corn starch is a great thickening agent, but making a good gravy or thick roux aren’t the only things corn starch is good for! It also has many other ingenious uses, such as soothing sunburns and diaper rash, and even post-SHTF pest control! Be sure to reseal the corn starch after each use to keep it from getting contaminated with moisture. 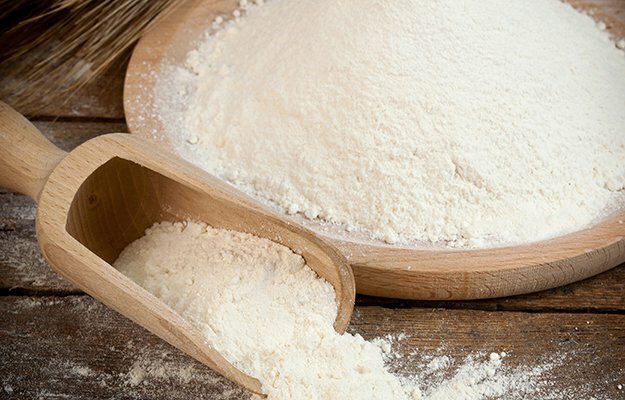 Corn starch must stay dry in order for it to have a longer shelf life! Brown, white, and even powdered sugar all last indefinitely. While sugar does harden over time, all you need to do is knead it to break up the chunks. Just like with rice, make sure you keep it away from pests (they want it more than people do). 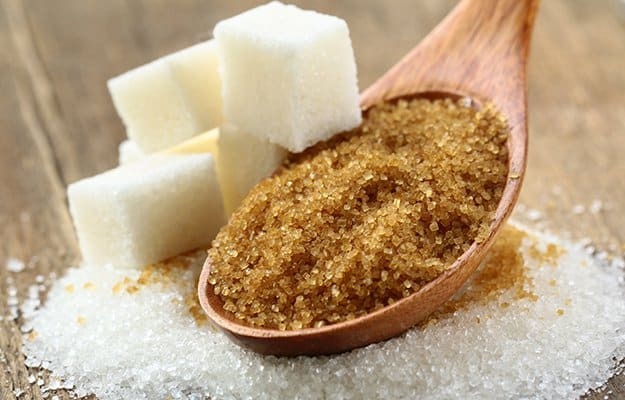 With proper storage, sugar can last a long time. Just like with salt, this will both be useful to you as a food source and a bartering resource in a post-SHTF economy. People are addicted to sugar, and if you have enough of it when no one else does, you can get anything you want. This makes it an ideal survival food. 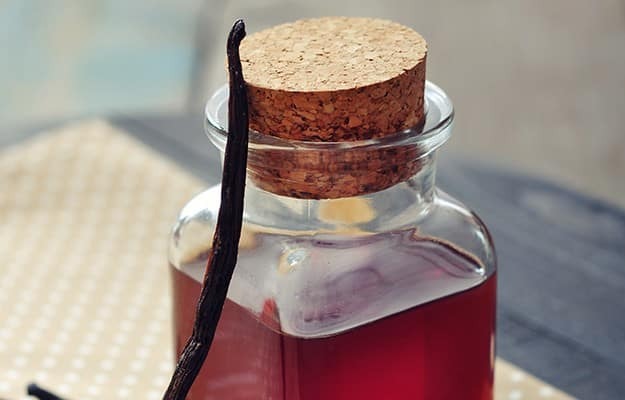 Real, pure vanilla extract is highly valuable and will last forever. Not only does it not expire, but pure vanilla extract, just like fine wine, actually improves with time. It’s more expensive than imitation vanilla, but if you can, go ahead and spring for it. You will be happy you did after a crisis. Just be sure to reseal it when you’re done. If you’re not too fond of purchasing this pricey survival food, you can also make your own vanilla extract. 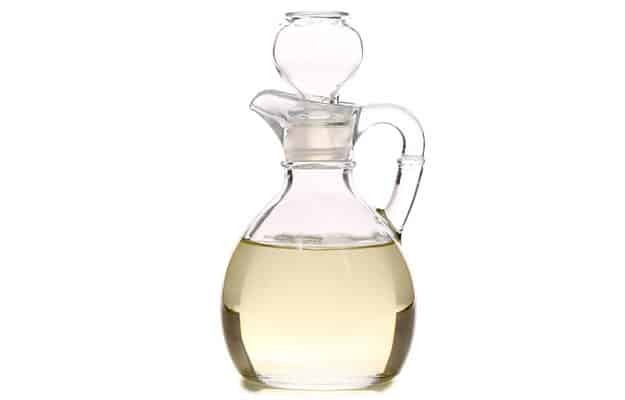 Marinades and salad dressings are made tastier with vinegar, but there are lots of practical uses for vinegar as well. Not only is it useful after a crisis, but it can also save you big bucks at the grocery store every day! Most people know that you can cook with it and you can clean with it, but there are a few other surprising uses for vinegar that you might never have thought of. 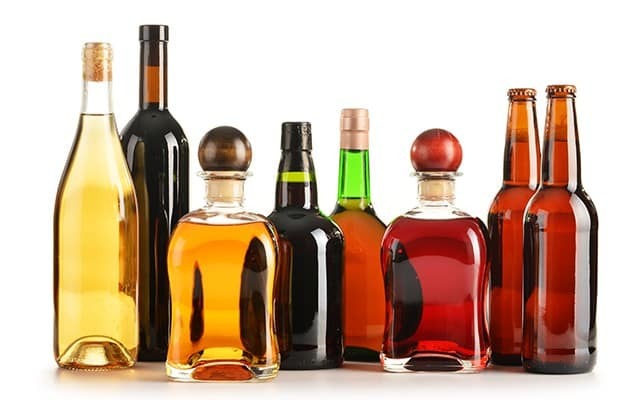 Aside from its obvious “calming” properties, you can use liquor for many purposes. You can even use it as a fire starter since anything over 40 proof will take a spark easily. Liquor can also be a major bartering chip. Many people after a crisis will be looking for a way to escape and relax, and if you can give that to them, you’ve got the upper hand!